More people means more cars. And more cars means more congestion. Look no further than State Route 9 in Snohomish County. The corridor is critical to the county’s commuter and commercial traffic, but has been bogged down with congestion with all the recent growth. However, some relief is coming in the form of a $1.6 million interim project that will widen and restripe a portion of SR 9 in the Clearview area from 136th Street Southeast to SR 96 and create a second northbound lane. Work on the project begins on Monday, May 7. Traffic routinely stacks up on SR 9 near SR 96 in the Clearview area during rush hour. 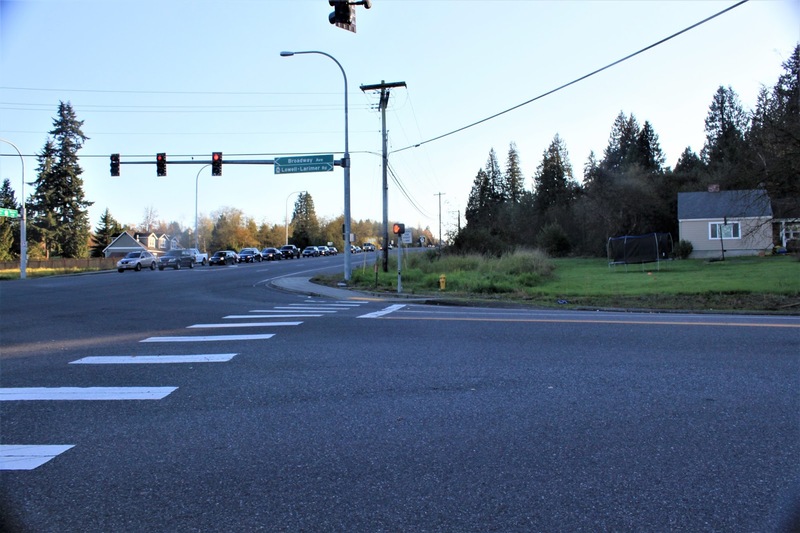 We’ll widen the highway from 136th Street to SR 96 this spring, adding a second northbound lane to increase capacity and help with traffic flow. Extending the existing four-lane intersection another 1,500 feet will help increase capacity in the area and decrease delays during peak travel times. Crews will need nighttime single-lane closures to complete the work. People who travel through the area should expect most lane closures to be from 7 p.m. to 5 a.m., Sunday through Thursday. Check our website for details. We’re kicking off an interim congestion relief project on SR 9 in Clearview starting Monday, May 7. The project is a precursor to a much larger project that will widen the highway between 176th Street to SR 96. The county’s population jumped from about 713,000 to almost 758,000 between 2010 to 2015, according to state data. Projections estimate the population could reach more than 900,000 by 2025. To accommodate the boom, we’ve already widened the highway to four lanes near Woodinville to the south and Marsh Road in the north. However, there’s still a 3-mile section in the middle between 176th Street Southeast and SR 96 that needs to be widened. There are plans to widen that stretch, but there’s no funding for construction at the moment. This interim project is far from a permanent solution, but it will improve congestion.